River Lane Ranch Fall Finale Horse Show is here! Spend the day showing your horse and then finish off the day with our added money Gymkhana Jackpot. 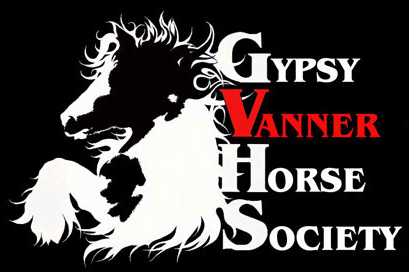 The show has a Gypsy Vanner Division and you will earn GVHS points for all classes. Gypsies can also enter all the OTAB (Open To All Breeds) classes and earn GVHS Ambassador Points. 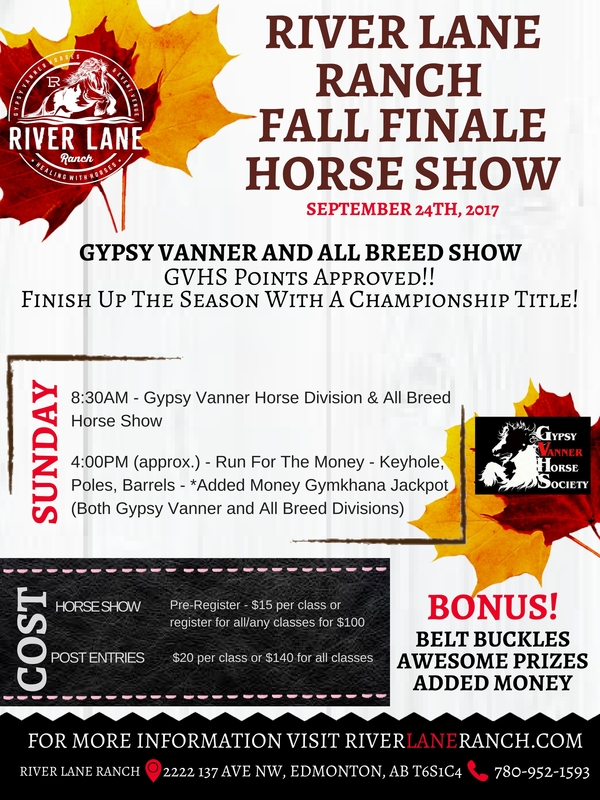 All breed classes and Gypsy Vanner classes can win many championship titles with awesome prizes and added money! Post Entries – $20 per class or $140.00 for all classes. 27. OTAB Western Pleasure W/J/L (Open) Same horse and rider combo can not enter 26 & 27. 30. Gypsy Western Pleasure W/J/L (Open) Same horse and rider combo can not enter 29 & 30. 38. Gypsy English Pleasure W/T/C (Open) Same horse rider combo can not enter classes 37 & 38.